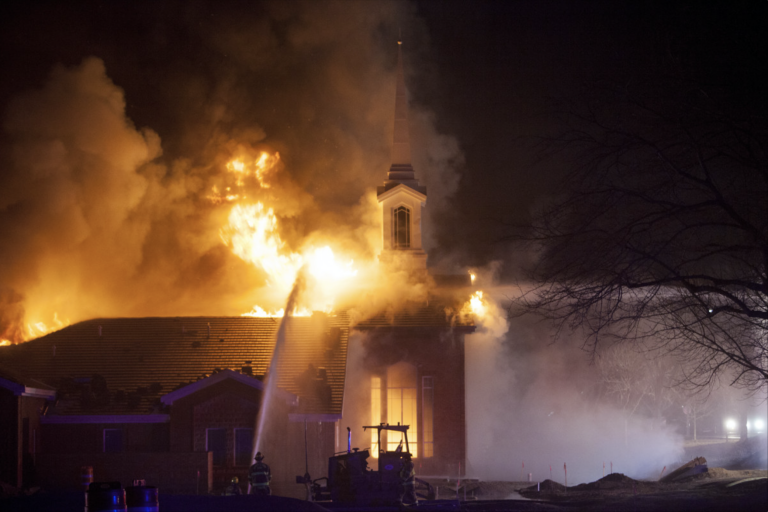 A new stake center for the St. George East Stake of The Church of Jesus Christ of Latter-day Saints was heavily damaged by fire early Saturday. Fire officials there are saying the fire was intentionally set. The fire started just after 1 a.m. and burned quickly through the ceiling and attic. St. George Fire Chief Robert Stoker said a fire sprinkler system was installed but not yet functional in the building, which was nearing the end of its construction process. Stoker said burn patterns suggest the fire started outside of the building and was started using some sort of fuel. Officials with the local police, fire and Bureau of Alcohol, Tobacco, Firearms and Explosives are helping with the ongoing investigation. The building, Stoker said, was expected to be finished in about a month and is now a total loss.